What? With such great weather right now, we are revelling in the time to lounge in the sun. 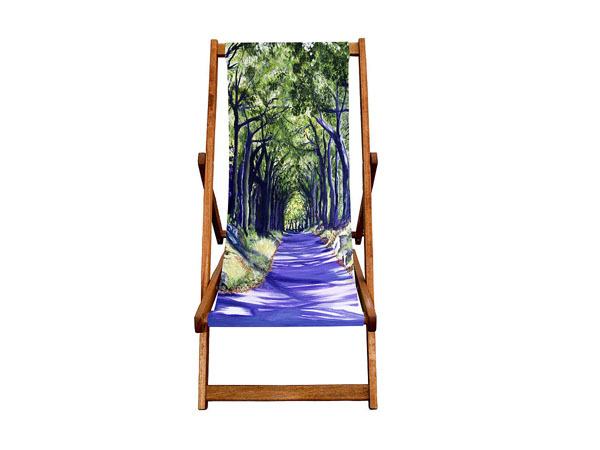 That’s why we love the deckchairs designed by Jacqueline Hammond. The one featured above, entitled “Mum’s drive home”, depicts “an atmospheric drive down a winding road from a coastal town in Devon”. There’s something of “anywhere but here” about them and that’s sort of nice, right now. Priced at £99.